The Eastern Suburbs Liquor Accord (ESLA) was established in 2004 and is a voluntary collaborative partnership between local liquor licensees, the Eastern Suburbs Local Area Command of the NSW Police Force, Local Government, various State Government departments and other community organisations. The ESLA provides a foundation for enhanced communication between all stakeholders and strives to proactively address issues arising from the consumption of liquor within licensed venues and other related matters. It harnesses the collective knowledge and experience of the partnership to identify and implement best practice. BECOME A 2019 MEMBER PREMISES- JOIN NOW! 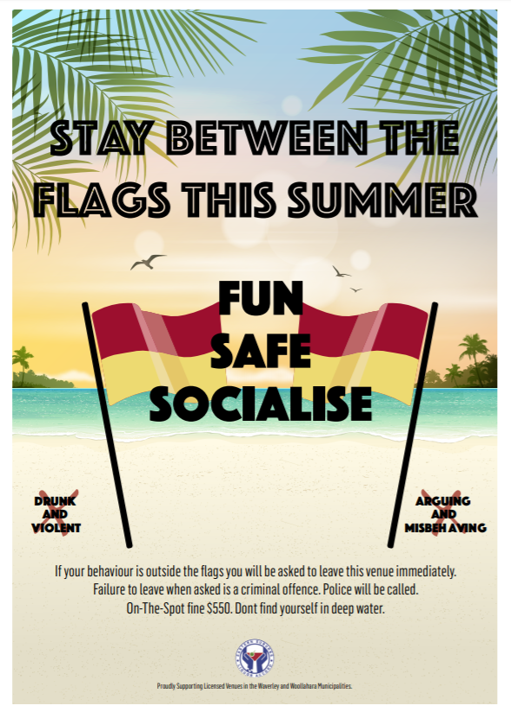 Proudly Supporting a Safer Summer. © 2013 Eastern Suburbs Liquor Accord. All rights reserved.